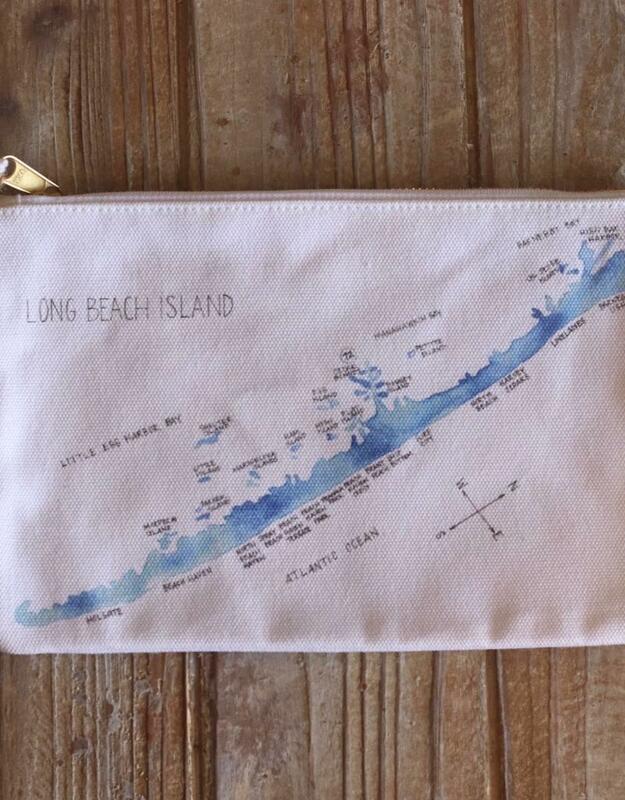 Take LBI home with you on this canvas pouch! 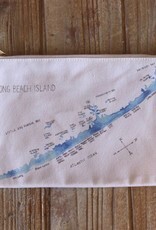 Custom Long Beach Island watercolor map made specially for Five 0 Six Boutique. Gold zipper, white tassel zipper pull.